The Scientific Research Foundation (SRF) statistics show that teen crashes increase during prom and graduation celebrations and that many of these road crashes could have been avoided by practicing safe driving behaviors. YASA is committed to working with students, parents, school administrations and the Internal Security Forces to make sure all students can celebrate and stay alive on our roads. it can also be the most dangerous night in a young person’s life. For parents, however, the primary prom-related worries are the risky behaviors associated with them, most specifically driving under the influence of alcohol and/or drugs. _ Never drink and drive. _ Never get in a vehicle with a driver who has been drinking. _ Make sure everyone in the vehicle is buckled up. _ Keep mobile phones on and easily accessible, so parents and guardians can get a hold of you. _ If you do get into a situation where you need assistance, call your parents, a taxi or another trusted adult. _ Limit the number of passengers in the vehicle to eliminate distractions. _ Never text message while driving. avoid alcohol or any other substances that will compromise your ability to make good decisions. Pull over and park if you have to send a message. If your children are not returning home right after the prom, you need to be able to contact them at all times until they return home. You also need to be reachable at all times as well. There can be no doubt where your kids will be and with whom throughout the evening and morning. If they are going to other friends’ houses after the prom, check ahead of time with the parents. You also have a right and a responsibility to ask if these parents are going to allow drinking in their homes It is preferable you give your children the unconditional option of calling you at any time for help or advice. That includes picking them up at any time of day or night, with a promise not to shame or humiliate them in front of others. Assure them that you always welcome being part of their making smart and safe decisions. This unconditional offer of help and advice should be an outstanding offer throughout their lives. If your children complain about the safety measure you are taking, remind them that it is your responsibility to keep them alive. even the smartest ones take risks they should not on prom night. Alcohol consumption before using the roads – whether as a driver or a pedestrian – increases the likelihood of a crash occurring, as well as the likelihood that death or serious injury will result. The risk of a road traffic crash begins to increase significantly at a blood alcohol concentration (BAC) level of 0.04 g/dl and rises steeply after that for each small increase in BAC. When a vehicle is involved in a crash and comes to a sudden stop, the bodies of unrestrained the occupants will be thrown forward into the structure of the vehicle or outside the vehicle. They are most likely to hit the steering wheel if they are driving, or hit the back of the front seats if they are back-seat passengers, or be ejected from the vehicle completely. Seatbelts are designed to help keep people in their position in the car and away from the vehicle structure hence preventing severe injury. Failure to use a seatbelt is a major risk factor for road traffic deaths and serious injuries among vehicle occupants. Passengers who were not wearing their seatbelts at the time of a collision account for the majority of road traffic fatalities among this group. Moreover, passengers who do not wear seatbelts and have a frontal crash are most likely to suffer a head injury or be ejected from the vehicle. Ejection from the vehicle is one of the most harmful events that can happen to a person in a crash. 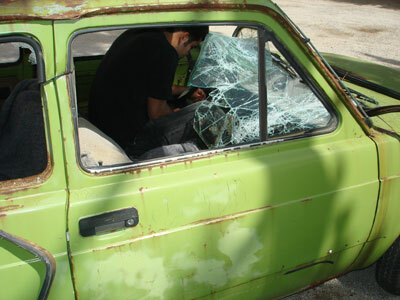 YASA estimates that in Lebanon in 2007, more than 75% of young adults aged 16 to 35 years who were killed when riding in passenger vehicles were not wearing seatbelts. Dashboard and helmet-mounted cameras: how do you choose the right one? Why do novice riders have to ride approved motorbikes? Can you drive with a medical condition? Death in Traffic: Why Are the Ethical Issues Ignored? what impact could a drink have on your night out? Texting While Driving: How Dangerous is it? 1,700 fatalities, 840,000 injuries yearly due to vehicle crashes off USA public highways. When Is It Safe to Drive After Breaking a Bone? Video from crash scene shows why you should not be on the back of a bakkie! German town abolishes traffic lights and codes.Accidents are now almost non-existent! Do you have your car's mirrors set up correctly? GRSP/SSATP SEMINAR - MOVING PEOPLE SAFELY IN CITIES. Europe: Crossing Borders – Follow the Traffic Rules. World First Aid Day: First Aid and Road Safety, September 14, 2013.
WHO launches manual aimed at strengthening road safety legislation. Mexican monster truck kills 8, hurts dozens when vehicle hits crowd. Launch of pilot project in Tunisia. America: Driver dead after car chase from White House to Capitol ends in police gunfire. America: Motorcyclists beat driver after encounter on NYC highway. Canada: Lethbridge senior survives scooter collision. Canada: Bragg Creek resident dies after vehicle strikes tree near Wintergreen. The Russian Government has Discussed the Draft Federal Road Safety Programme. Canada: Motorcyclist dies after collision near Sylvan Lake. Canada: Senior killed in highway collision near Okotoks. Canada: St. Albert officials pledge to investigate intersection where boy was hit. Canada: Wi-Fi enabled cars coming to Canada in 2014. America: Seven cars score best in test of front-end crash prevention systems. Navi Mumbai: Caught on camera, deadly hit-and-run near Mumbai. Canada: Bike lane beef heats up on city streets. Canada: Child killed in southeast Calgary crash. Canada: Road safety reminder issued after recent motorcycle fatalities. Canada: Crash north of High River claims life of 19-year-old Okotoks man. Accident on Spanish airport baggage belt kills Canadian's 5-month-old baby. EU MENA programme kicks off its second phase: Tunisia pilot project gets moving. Amend and Road Safety Fund Host Policy & Donor Roundtable in Tanzania. Of the world: A cost curve to improve road safety. 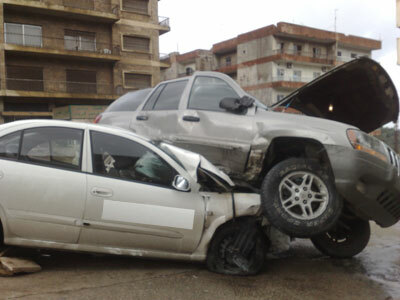 Lebanon: an accident a trailer truck in Dbayeh causing traffic jam. Canada: Woman thrown from vehicle following crash near Cochrane. Canada: Man dead after motorcycle crashes into pole. United States Of America: Driver who navigated Manhattan in 24 minutes arrested, car seized. Russia: Keep your distance and brake in time. Russia: Amendments to the Russian Code of Administrative Offences Take Effect. United Nations: Road safety in Ban Ki-moon’s Post-2015 recommendations. Canada needs to get ready for self-driving cars: advocate. 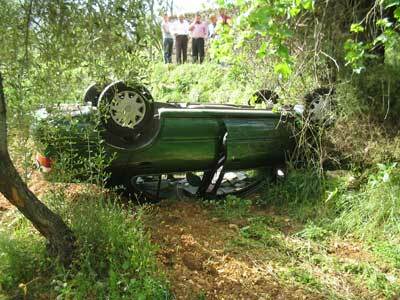 Turkish: Red Crescent call for stronger seat belt legislation. Canada: Police find injured man on highway near Slave Lake. Canada: Woman seriously injured in crash. RCMP nab motorcyclist traveling 235 km/h near Bragg Creek. Canada: Two years on, Alberta drivers still distracted. Canada: Macleod Trail collision sends motorcycle riders to hospital. Canada: Spike in off-road vehicle fatalities caused by drinking: OPP. Canada: Texters who distract drivers may share blame for crashes: N.J. judge. Canada: Crash victim laid to rest. Canada: Six people in hospital after crash on Highway 63. Toddler in critical condition after near drowning incident at Lake Wabamun. Two people injured after pickup truck strikes deer near Valley Ridge. U.S. safety regulators probe ceiling fires in 2012 Jeep Grand Cherokees. U.S. Transportation Secretary Foxx Launches 'Drive Sober or Get Pulled Over' Crackdown. Speeders beware: Airdrie RCMP takes to the sky for highway enforcement. Electric cars don’t solve the automobile’s environmental problems. Construction worker dies after plunging 55 floors from Toronto building. America: NHTSA to Provide Free VIN Searches to Help Consumers Check Cars. America: Safe Kids Worldwide Urge Parents and Caregivers to Take Proper Precaution. Russia: statistics 2013 for road accidents. Canada: SUV striking demonstrator at Quebec picket line. Canada: Three taken to hospital after crash west of Calgary. It’s Time to Take the Bus! Female driver, 19, dead after Mississauga crash. Woman, 79, dies after being hit by car in north Toronto. Fatal crash started as dispute over cab fare: police. Calgary: No one seriously injured in late night crashes. Two men charged with impaired driving. Warning over 'flash-for-cash' car accident insurance scam. Small wireless device can track driving habits for insurance purposes. Crosswalk project aims to find most durable paint. Mounties crack down on daytime drunk drivers. Jaguar recalls 2,929 cars in U.S. for stalling and window issues. ID of man critically injured in collision is unknown. Family of woman struck by car devastated by loss of their sister. Pilot in deadly U.S. wreck survived earlier crash. Only 6 of 12 small cars perform well in front-end crash tests. Police put eye in the sky to track traffic infractions. Fatigue is more than just being sleepy. Does the Vision Zero work? le code de la route est aussi fait pour les deux-roues. Focus on your own driving. Road transport is vital to development. What child bed safety rails are available? Protect yourself and your family whenever you're on the road. Driving & Drinking or Driving & Talking/Texting -- Which Is Worse? Seat belts save over 13,000 lives every year in USA. What are rail safety occurrences? Is speeding really that dangerous? How to drive in emergency situation?